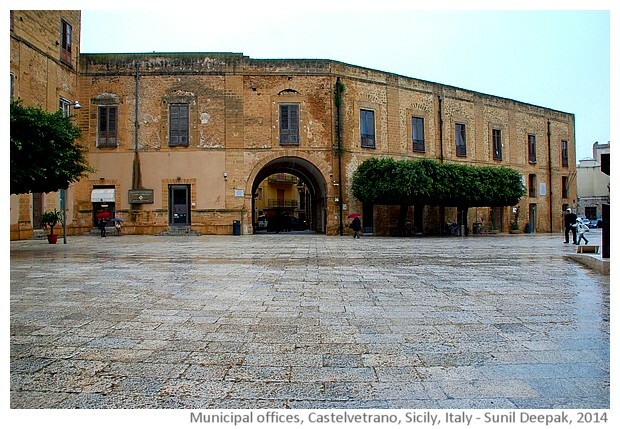 Castelvetrano is a small town in the province of Trapani at the western tip of Sicily island in the south of Italy. It is famous for the Greek ruins from 6th century BC at Selinunte. 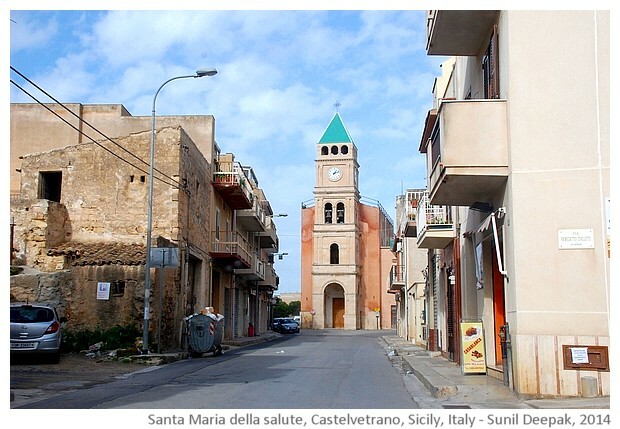 Recently I was in Castelvetrano. 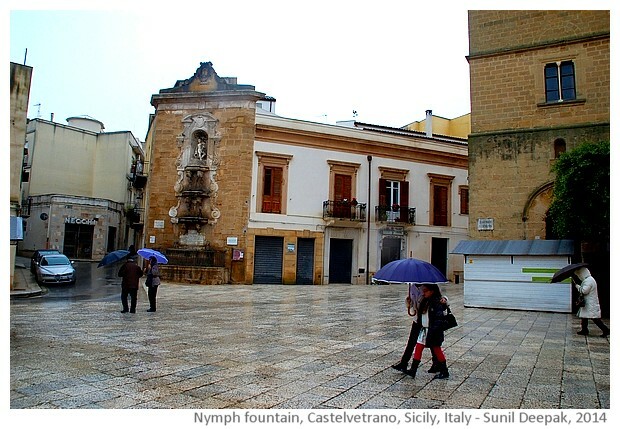 This first part of my Castelvetrano diary focuses on the city, while the second part will focus on the Greek ruins of Selinunte. 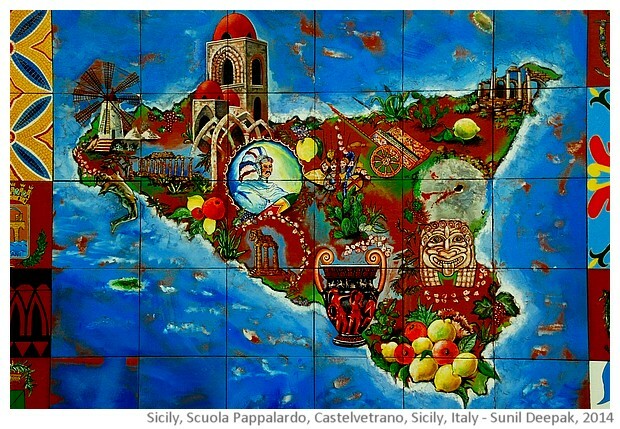 I saw this pictorial map of Sicily island (image above) at a school in Castelvetrano. The city of Castelvetrano is located near the western tip of the island (where it shows the Greek ruins of Selinunte on the left, just below the windmill). When I had first heard of Castelvetrano, I had imagined it as the town with a "glass castle" (Castel = castle and Vetro = Glass). However, friends explained that the name of the city probably came from a settlement of ancient military veterans, a "castle of veterans". 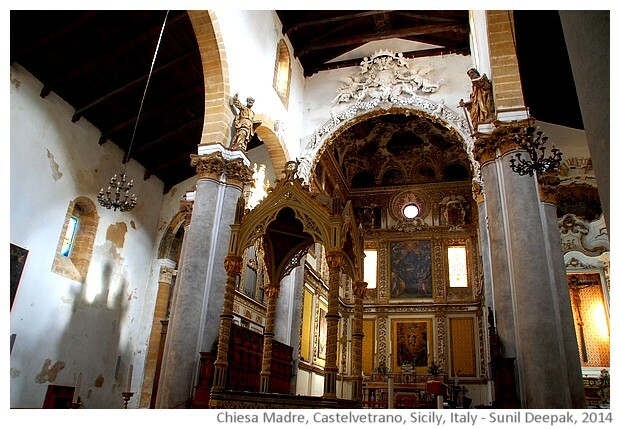 The first historical records of Castelvetrano date back to thirteenth century when the dukes of Angioini from west of France gave this area to Tagliavia (Aragon) family. The city was famous for its vineyards and olive cultivation. The centre of the city is the Garibaldi square and the nearby Aragona -Tagliavia square. 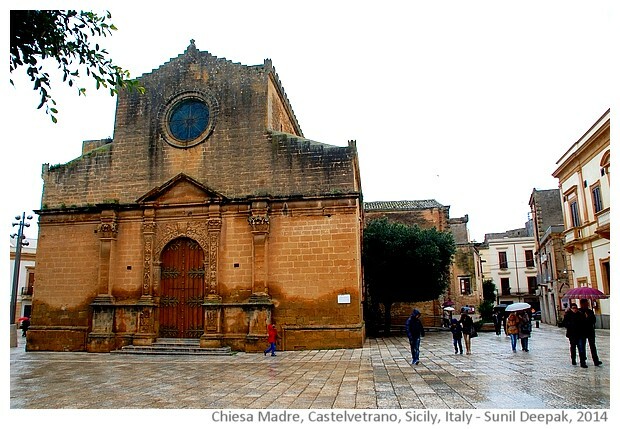 Garibaldi square has the Chiesa Madre (Mother Church) from 1520 AD, built at the site of an older church. 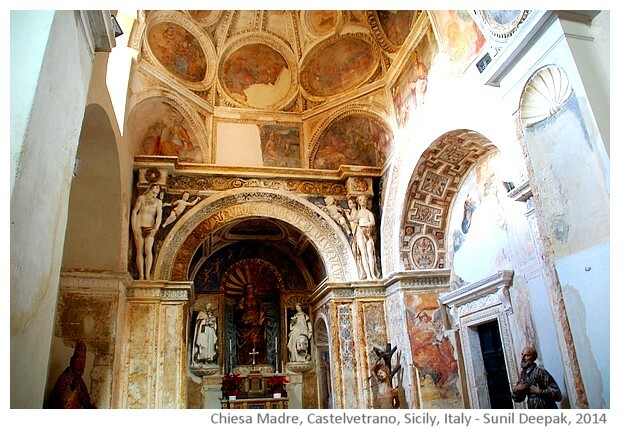 Inside the church, the portion around the altar is richly decorated with frescoes, statues and plaster-of-Paris works. The chapel on the right side of the Mother church, has stairs going down to the crypts below, where I found a curious structure that I had never seen before - a place for preparing mummification or drying of the dead bodies. 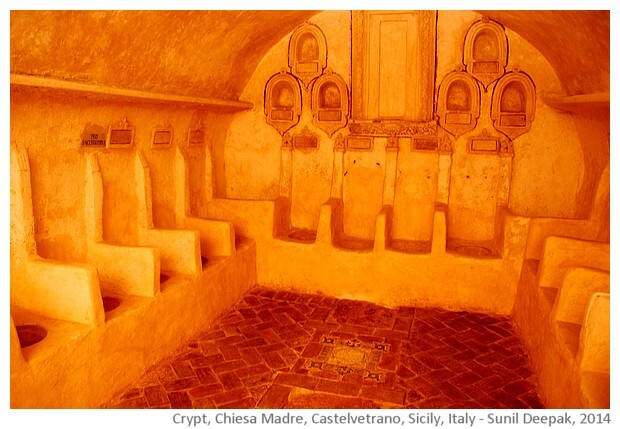 The crypt room cut into the rock has rows of "chairs", each chair with a hole in the centre, a little like chamber-pots or toilets. These rows are marked as "reserved for the clergy", "for the superiors of the church" and "for noble families". I was told that the bodies of the dead persons were put there so that they could "expel their liquids" and become dry for the burial or mummification. This kind of burial practices could have been linked to ideas about the "day of judgement" and that "dead people will come alive on that day". It seems as if this place had been in use till relatively recently. It had a kind of morbid fascination for me! I could imagine some kind of a horror film being shot there with smelly rows of dead bodies sitting there and "expelling their liquids"! (image below). 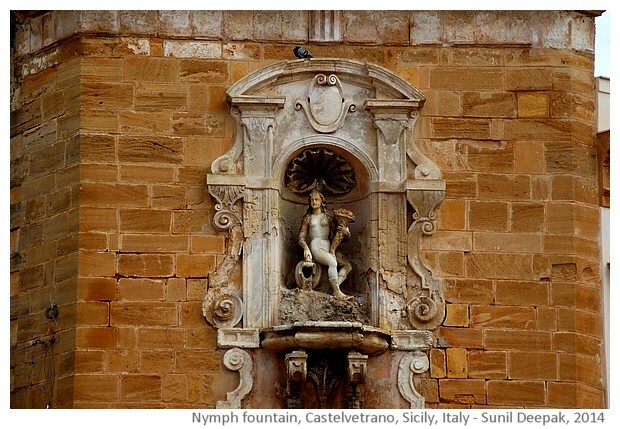 On the side of the street in front of the Mother Church is the wonderful "Fountain of the Nymph" built in 1615 AD by Orazio Nigrone. It provided public water to the people living around that area. The water was brought to the fountain by an aqueduct built by Bigini. 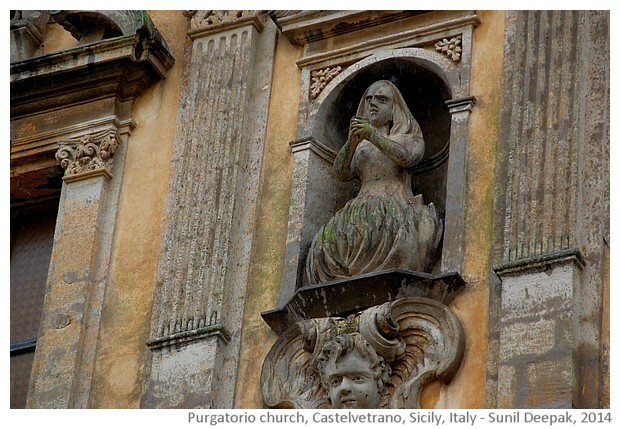 The water gurgling out of a vase held by a nymph at the top of the fountain, fell down in three levels of trays underneath the nymph. However, now the fountain seemed to be dry. Close to the chiesa Madre, on one side of the Aragon-Tagliavia square is the family home of Aragons (Palazzo Pignatelli) that now holds the municipal offices. 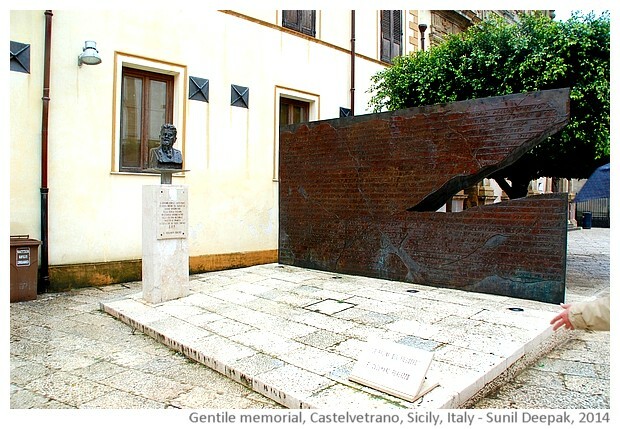 Other important places of interest in this area are the monument to Prof. Giovanni Gentile credited with the educational reforms in Italy after the first world war in 1920. 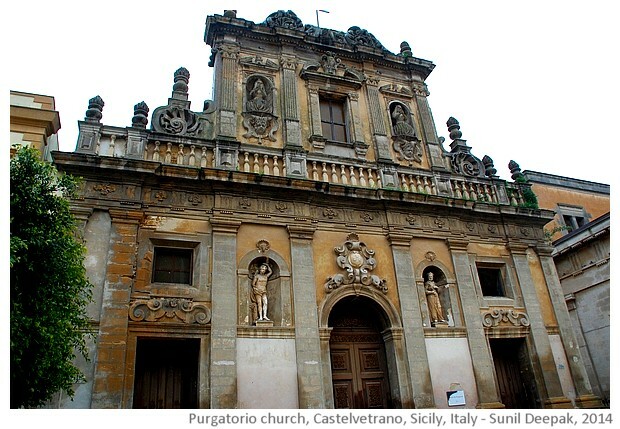 Close to the Gentile monument is the ancient Purgatory church (Chiesa del Purgatorio) built in 1642 AD at the site of another more ancient church. It is now used as an auditorium. 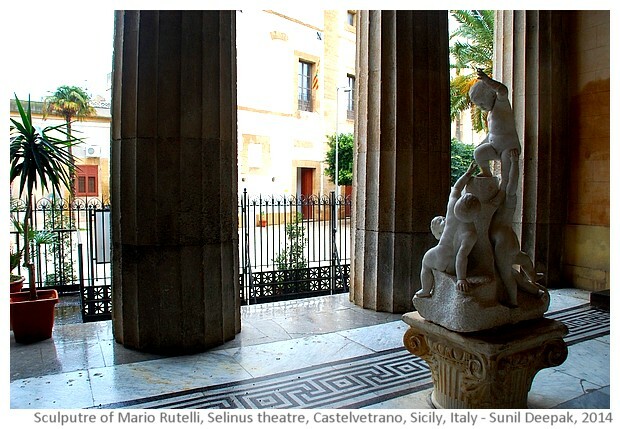 Finally there is Selinus theatre, built in late nineteenth century in neo-classical style with stairs in the front and an entrance hall with Doric columns. 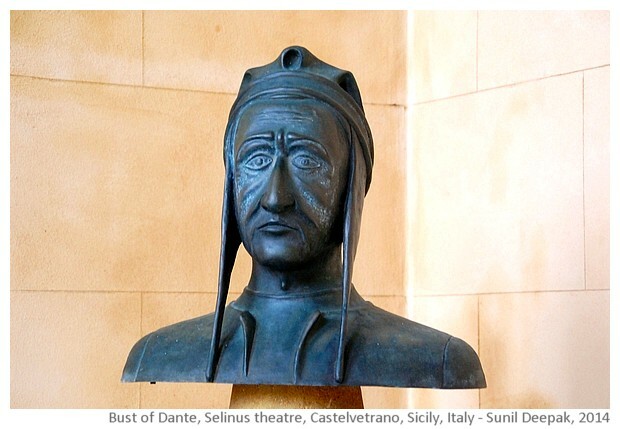 The entrance hosts a sculpture of children by Mario Rutelli (brought here from another local villa) as well as busts of two famous Italian literary figures - Dante and Pirandello. 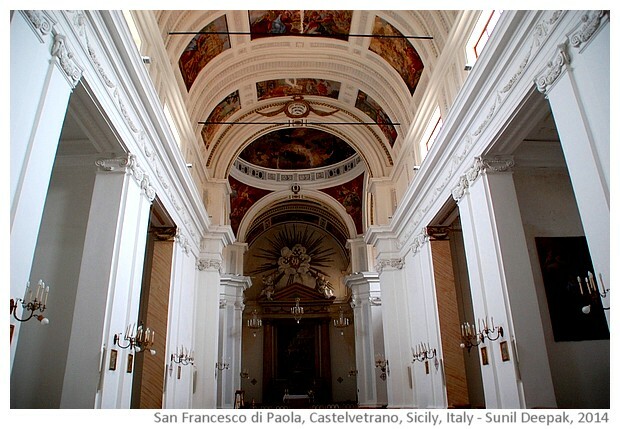 Apart from the central and historical part of the city, Castelvetrano also has some other interesting churches - San Francesco da Paola church, San Giuseppe church and Santa Maria della Salute church. 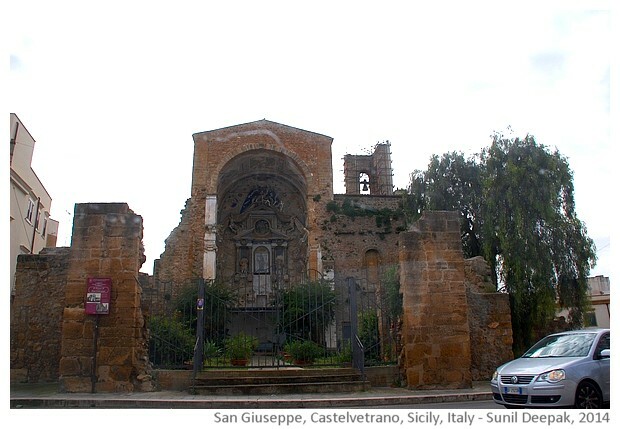 Among these my favourite is San Giuseppe that was damaged during an earthquake in 1968 and was never repaired. The ruins of this broken down church are very evocative. Apart from the vineyards and olive grooves, I saw some interesting plants and trees in Castelvetrano. 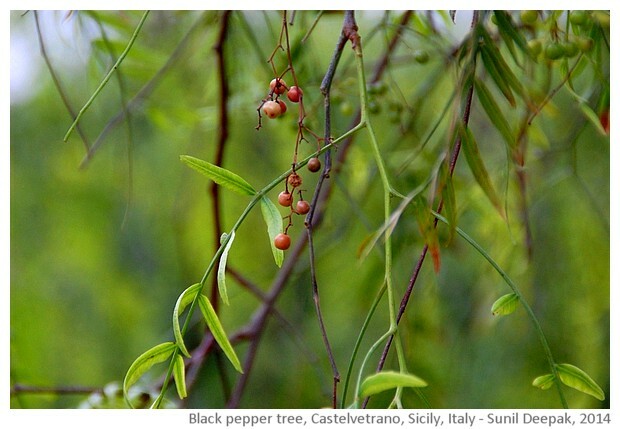 At a friend's house in Castelvetrano, I was surprised to see a pepper tree, that are so common in Kerala in India. 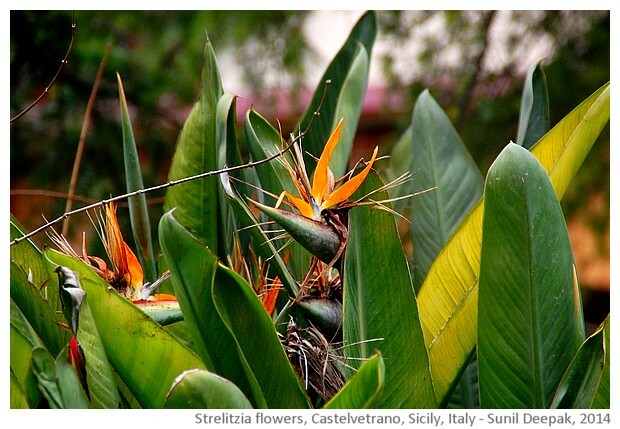 Another surprise was to see plants and flowers from Cape Town region of South Africa including Aloe Vera and Strelitzia flowers. Let me end this post with a wonderful image of oranges. 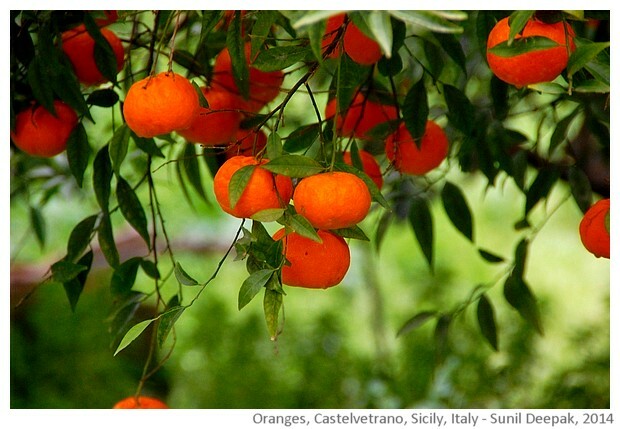 Castelvetrano was full of fruit-trees including different varieties of oranges, mandarins and lemons. Another of my favourites were the Sicilian sweets made with fresh ricotta cheese including the calorie-bombs called "canoli". I ate so many of them since it was so difficult to resist them. And now I need to do some serious dieting! The second part of this post will be about the sixth century BC ruins of the Greek settlement of Selinunte, near Castelvetrano. beautiful. I missed it last year. Would go this year for sure.